Maybe you are just starting to sew, or maybe you just sew a little bit – but you have a mother who sews a lot! Even if you’re not totally sure what makes a great sewing gift for a mom who sews, we’ve got some great gift ideas that are sure to make her Mother’s Day (or birthday – hint, hint!) extra nice! Sometimes it’s the little things that can make sewing a pleasure! Threads are something we sewists take for granted, the one thing that holds it all together. Make a gift of a pretty pack of brightly colored threads; pick out what you know are her favorite colors, or pick up one of the newer pre-packaged color sets. Isacord is beautiful for machine embroidery, Mettler or Gutterman are great for crafts and garments, and quilters tend to like cotton threads like Aurafil. 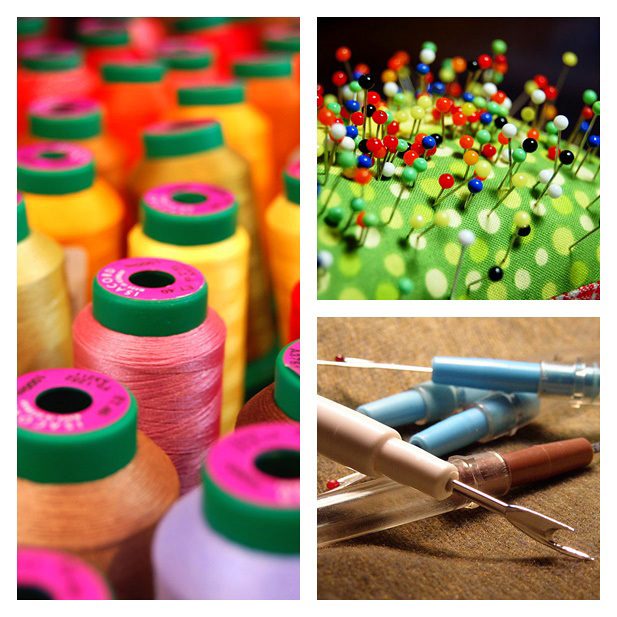 Pins are indispensable to sewing, and can easily dull or bend after lots of use. Glass-head pins are a favorite to most who sew, as the glass won’t melt under the heat of an iron when crafting or constructing garments. Quilters love the flat-head pins, which you can find in all sorts of colorful designs from flowers to hearts. Seam Ripper – the unsung hero of the sewing room! Yep, we all make mistakes, but with a sharp seam ripper in hand it’s easy to rip it out and fix it up. You can find seam rippers in all styles and colors, from small portable models to full sized rippers with nice, hefty handles. Find threads, pins and seam rippers at your nearest BERNINA store, fabric or quilting store. What could make mom happier than a yard or a pack of fat quarters of bright fabrics for summer? 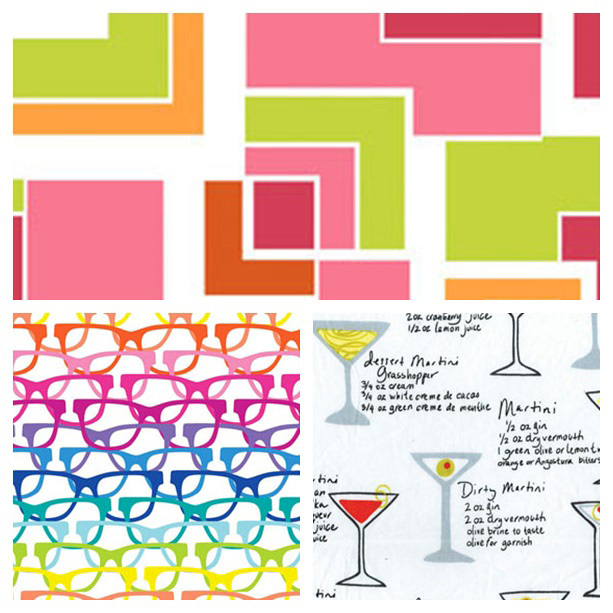 Choose any of the happy prints from these Benartex lines! Top: Gramercy High Line Geo in pink, bottom left: Surf’s Up Shades in white, bottom right: Shaken or Stirred Martini Menu in white. Look for Benartex fabrics at your local BERNINA store. If you aren’t sure what type of fabrics are mom’s style, don’t forget that you can always ask about purchasing a gift certificate to let mom pick out her very own fabrics. Take a peek in mom’s sewing box. If you see measuring tools that are bent, frayed, chipped, cracked or held together with tape, a brand new measuring tool will make a great gift. Measuring Tapes are also indispensable, used for more than one purpose, and can come in different lengths, widths, and colors. And, as with sewing gauges, it’s not unusual to have more than one. Acrylic Rulers are also multipurpose measuring tools. French curves are used more often by sewists who make garments or draft their own patterns, while specially-shaped rulers like triangles, wedges, or hexagons are used by quilters to cut specific shapes for patchwork. 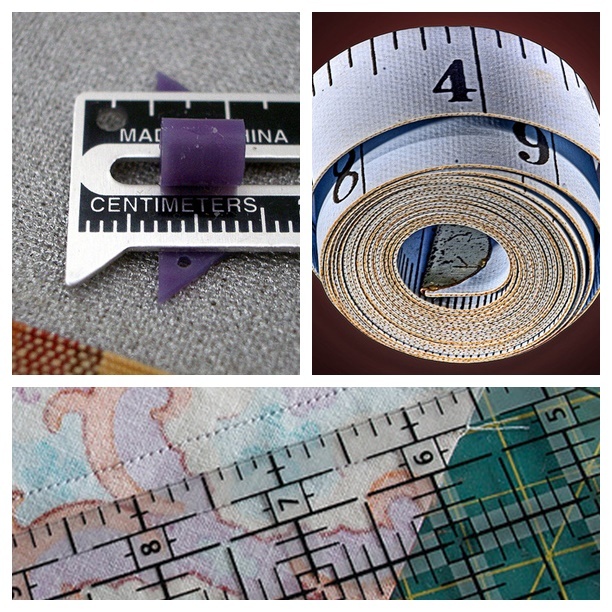 Look for all of these measuring tools at your local BERNINA store, fabric or quilting store. You are only as good as your tools, and the BERNINA 5 Series sewing and sewing/embroidery machines are the perfect tool to tackle any sew job. 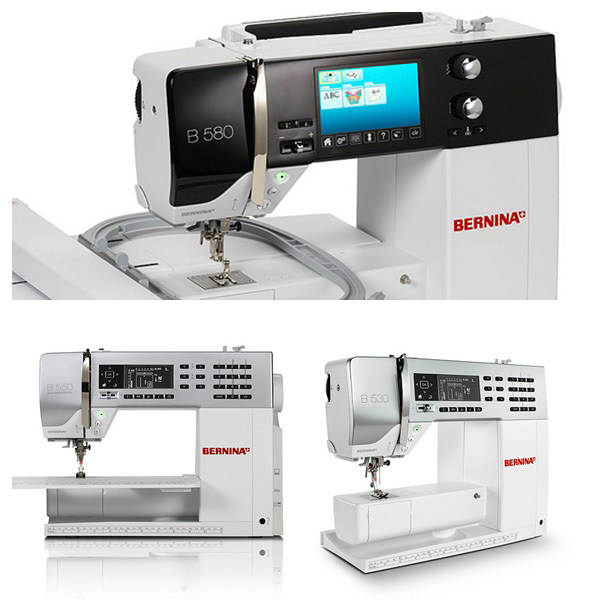 The BERNINA 5 Series includes four different models, each with a wide range of applications to tackle any sewing project even when using advanced sewing techniques. The BERNINA 5 Series offer extra features and technology appreciated by experienced sewers: the free-hand knee-lever system, the unique BERNINA Stitch Regulator, and a wealth of utility and decorative stitches, as well as embroidery designs and the option of a PC connection turn the sewing and embroidery machines of the BERNINA 5 Series into multi-functional tools for discerning individuals who place value on high quality. Check out the B 530, clever, practical and flexible – the ideal sewing machine for ambitious sewers. The B 550 QE’s extensive stitch package can be perfectly adapted to your sewing project. Take a look at the B 560, the multi-talented machine for sewing and embroidery with ample space for growing needs. And be sure to look at the B 580 which offers feature-packed sewing, embroidery and quilting – highly versatile for creative freedom. We think bringing mom to your nearest BERNINA store to bring home a brand new 5 Series machine would make the perfect Mother’s Day gift!